But now it was about Otsberg, thats more wrong than just the first letter. Anyway, who is using a computer these days? All smartphones has these letters on the keyboards. Or the weather, and probably again suni and evans faster and mut take it easy because of frenchie god out there. Every normal person prefers a computer. edit: One more question, where is parking for service? 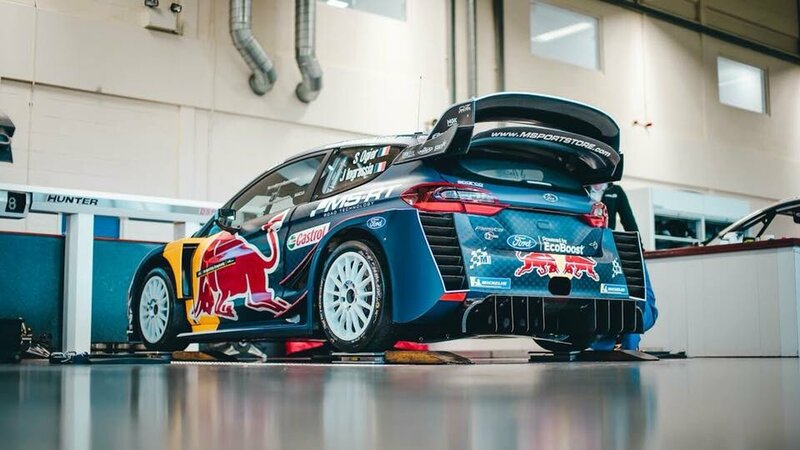 I actually think it's quite risky for M-Sport to put new aero and dampers on Ogier's car with little testing (he said so in post stage interview). More downforce in the back can upset the balance/behavior of the car and it might not be easy to quickly change rest of the car to compensate. The remaining question is if it was a sign of "desperation". They also point out how the C3 has different sidepods while the 3 others now look very much the same. I am quite intrigued by the C3 in this regard. They had similar sidepods as everyone else up to the last test before end of 2016 then changed it.The design they use surely look like it produces less drag, but should also give less downforce no? When they struggled to compete it didn't look like good idea to use this design but now even with it they were fighting with Toyotas in Finland. Even though it's rumored that C3 has the best engine, surely they have to have some downforce as well to keep up on a rally like that. Last edited by mknight; 8th August 2018 at 23:01. Of course it was risky, you were right, but with a disadvantage of 27 points and being second on the route, it made sense to take some risks. Not a lot to lose, if it failed. My impression is that the most annoying was in the jumps, when the car quickly pointed nose up, forcing Ogier not to push too hard. For next rallies, with a lot less jumps, the question might not be so annoying. In any case, the thing is when the new modifications (in the front of the car) will arrive, to rebalance it. At least it will be probably in October, as Turkey does not seem the most appropriate surface for a new front aero package...we will see. Regarding the C3 sidepod, it is true that the design is more simple than that of the other 3 cars. It sends all air towards the wake of the wheels, into the most turbulent area. Probably there's room for improvement...or they get downforce enough with the combination rear wing/diffuser and they prefer not to have any interference with the hot airflow coming from the brakes and rear differential.